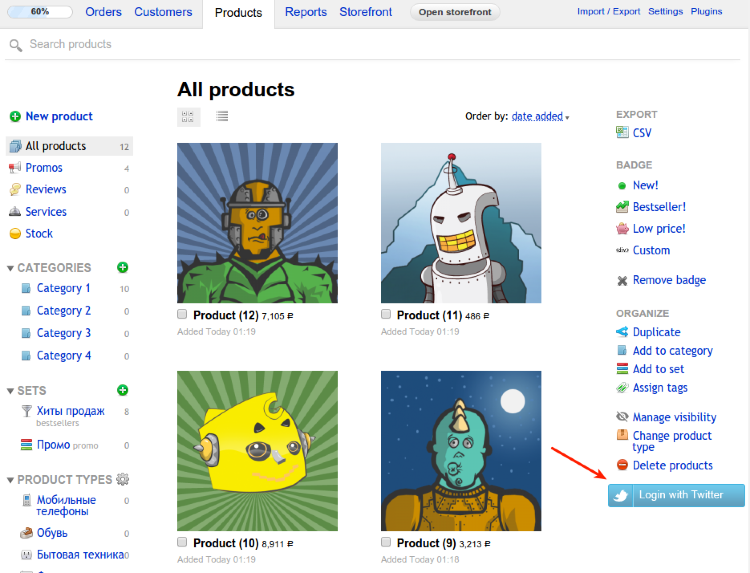 With this plugin, you can one-click send your products on Twitter. In the newly created application go to the tab Keys and Access Tokens, and copy out value Consumer Key (API Key) and Consumer Secret (API Secret) in the plugin settings. We can then log in to Twitter from the list of products as shown in the screenshot. Once we logged in, you can go into a product, and there will be a button to tweet a product (it can be seen in the screenshot). Push it forward and send tweets. If the tweet has been sent successfully, a button will be green. If sending zaeershilas failure, then a button will turn red. We need to change the password in your account Twitter. After this error disappears.